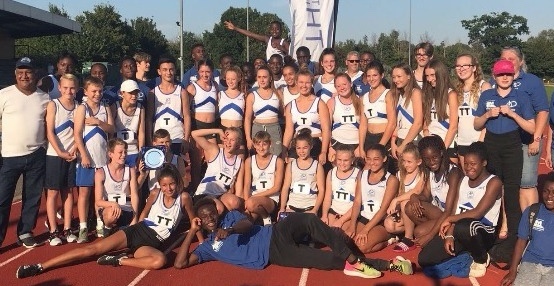 A FANTASTIC display of talent and teamwork saw Thurrock Harriers win the Eastern Young Athletes League Plate Final on Sunday (2nd) against Chelmsford, Stevenage, & North Herts Watford, Bedford and Colchester Harrriers. There are twenty six clubs competing in this league and winning the Plate Final is a major achievement for a club of it’s size. Not only did they win the Plate Final with 607.5 points but had scored higher points than the winner of the Cup Final, Havering, on 573 points and other larger neighbouring clubs; Basildon on 544 points and Chelmsford on 596 points. Athletes all pulled together to cover gaps to earn vital points including U13G Emily Butler voluntarily stepping in at last minute to compete in her first 1500m race! Athletes earned 37 pbs between them. It was a great way to end the season for our EYAL athletes, team managers and club officials who made it possible.